After completion of Registration process you will get " NetID" and "Password" on your email account you mentioned during the process of Registration. Important Note :If you donot get your NetID and Password in your Inbox. Please Check Spam/Junk folder of your E-Mail Account. There is a good news for job seekers. 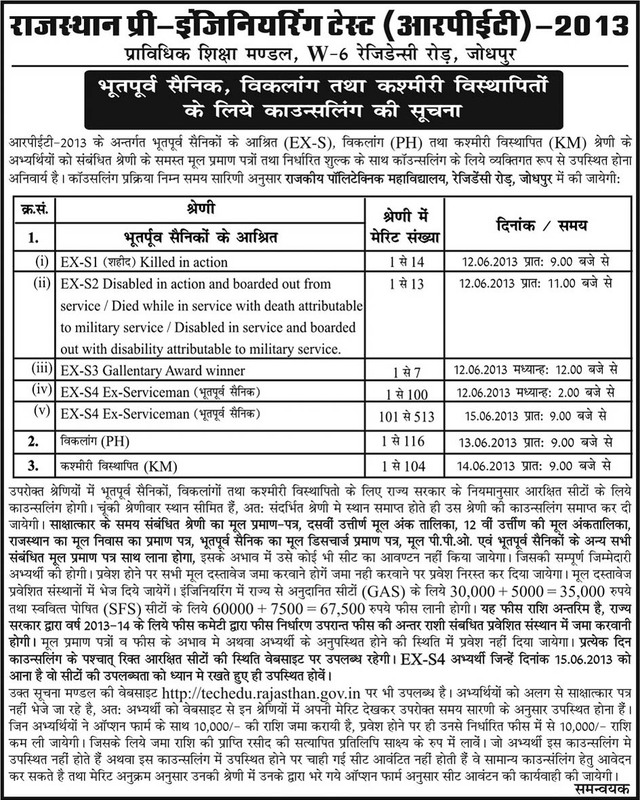 Rajasthan Roadways will appoint 2391 posts in different cadres. The Recruitment process will be started in June or July. Officers recruitment process for 550 posts will be started in this month (June) end. Such number of posts recruitment in rajasthan is first time. 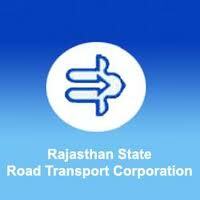 For this recruitment process Rajasthan Roadways is searching for a new Firm. Above news is published in today's (10/06/2013) news paper Dainik Bhaskar. Image clip is attached here fyi. आवेदन प्रक्रिया : ऑन लाइन एप्लीकेशन फॉर्म महाराणा प्रताप कृषि एव प्रोघोधिकी विश्व विद्यालय उदयपुर की वेबसाइट www.mpuat.ac.in पर उपलब्ध लिंक www.rcaudaipur.com के माध्यम से भरे जायेंगे . 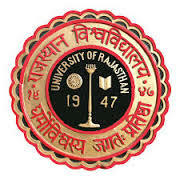 Exam Month and Date : Admit card for written exam will be available on university's website in August 2013. Written Exam's proposed date will be September 2013. Rajpanchayat has uploaded the list of selected candidates (2.5 times extra) for document verification on raj panchayat website. Vacancy circular to fill up vacant posts in the office of the Controller of Communication Accounts UP (West) Telecom Circle, Meerut on deputation basis from the officials working in Central/State Govt./PSUs & other eligible organizations. The period of deputation will be initially for a period of three years and can be extended by two more years if required on the exigencies of public service. (a) For the post of LDC. Officials holding same or analogous posts in various ministries/ departments of Central/State Govt., PSUs & other eligible organizationson regular basis. 3. UDCs who have rendered not less than three years of regular service in the grade. 2. Stenographers Grad II who have rendered not less than three years of regular service in the grade. 1. Officials holding same posts in various ministries / departments of Central/State Govt., PSUs & other eligible organizationson regular basis. Maximum age limit for appointment by deputation shall not exceed 56 years as on the closing date of receipt of applications. The format of application is appended and may be downloaded from our website. The applications from the willing and eligible officials whose services can be spared may be sent along with attested copy of ACR/APARs for the last 5 years, integrity certificate and vigilance clearance so as to reach the undersigned on or before 30.06.2013. Incomplete applications will be rejected. 1. 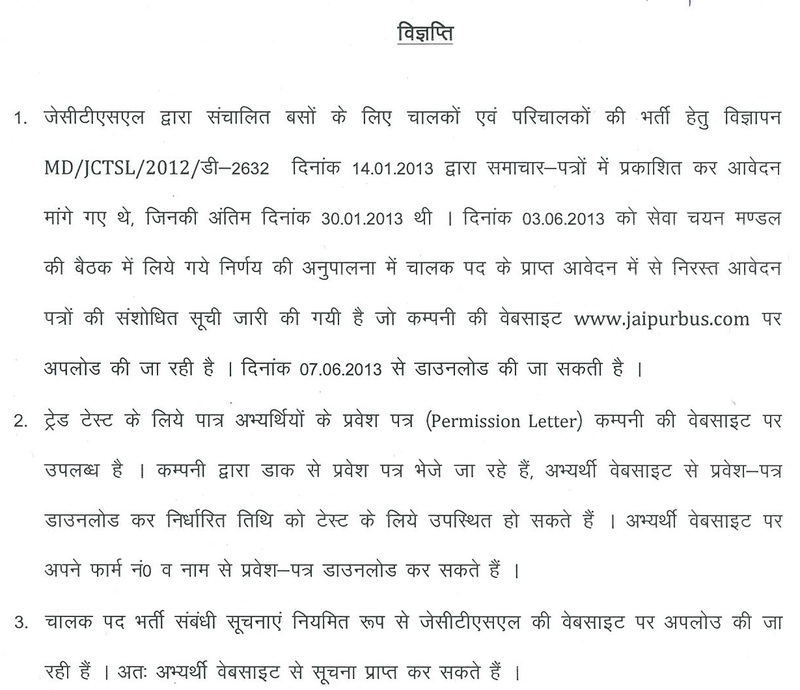 Students who are awaiting final semester result may also apply subject to the conditions mentioned in this page. 2. Applicant should essentially know to Speak, Read and Write in Tamil language fluently. 3. 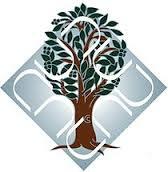 Graduation from Open University and Correspondence courses are not eligible. Age: Maximum: For Graduates: 24 years and for Post Graduates 26 years as on Mar 31, 2013. Candidates will have to pay a fee of Rs. 300.00 (Rs. 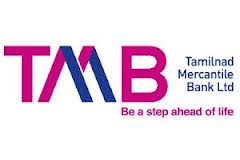 150.00 for SC / ST Candidates) by way of crossed demand draft drawn in favour of Tamilnad Mercantile Bank Ltd. Payable at Thoothukudi / Tuticorin or Tirunelveli. Selected candidates will be placed at a Branch / Office of the Bank anywhere in India on Probation for a period of one year. They will be fixed in the following pay scale with applicable DA. The emoluments during the period of probation will be Basic Pay of Rs. 8000/- plus applicable DA (At present Rs. 6,732/-) etc. The total emoluments at present approximately is Rs. 15,620/- per month. Opening date for Registering Online E-application: May 22, 2013. Closing date for Registering Online E-application: Jun 15, 2013. How To Apply : Create an user id in Bank job portal first (here), then submit your resume and then finally Apply online for the job. E-mail will be sent to the candidates with their registration number after filing the e-application. First you need to register on our servers and get a user id with password. After registering, login with the user id and password as selected by you. You must login with your user id and password to apply for this job. After login, you need to upload your complete resume on the server (if you have already uploaded your resume, skip this step). Once the complete resume is updated on the server, please visit this page again and you will see the option "Click Here to Apply for this job online". If you still do not see this link, you can try to re-load / re-fresh this page from the server. Please remember this option will be accessible only after you login with your user id and password. What do you wish to do now? Ambedkar University, Delhi Requires Professor, Associate Professor and Assistant professor etc. system with RAID and maintain other computers and peripherals. 1. B.E./B. Tech. in Computer Science/Computer Engineering with more than 60% marks OR, M. Sc. in Computer Science/ Information Technology/ Physics/ Mathematics with more than 60% marks. 2. Knowledge of Linux operating systems, networking, C++ and shell scripts. 1. Two (2) years experience in system administration of a high performance computing cluster. 2. Knowledge of Perl, Java, Python and database management. Pay: Consolidated pay of Rs. 30,000 per month. Duration: Till 31st March, 2014. There is possibility for continuation. but may be accepted till the interview is held. 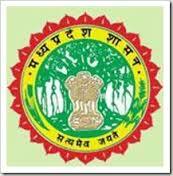 Document verification process for ANM's 12,278 posts will be started from tomorrow 8th June 2013 as per Medical Department. According Additional Director Mr. K.L.Swami, 10 Teams has been organized for 4 days program of document verification for ANM. iii) Candidates applying for post in a particular state should be proficient in the language of the state i.e. know to read, write, speak and understand the language. Candidates can apply online only from 30.05.2013 to 20.06.2013 and no other mode of application will be accepted. Scale III Officer: At present the total starting emoluments are approx= Rs.47994 per month inclusive of DA and HRA at the current rate. An officer directly appointed in the post shall be on probation for the period of two years, which may be extended by the Appointing Authority for a period not exceeding one year. An employee directly appointed in the post shall be on probation for the period of one year, which may be extended by the Appointing Authority for a period not exceeding Six months. Experience : Two years as an officer in a Bank or Financial Institution. Degree from a recognized University in any discipline in Agriculture, Horticulture, Dairy, Animal Husbandry, Forestry, Veterinary Science,Agricultural Engineering, Pisciculture or itsequivalent, with a minimum of 50% marks in aggregate. Officer Scale-III : Degree in any discipline from a recognized University or its equivalent with a minimum of 50% marks in aggregate. 1. Candidates should have obtained the specified Total Weighted Standard Score as well as score in each test in the RRBs- Common Written Examination conducted in September 2012. 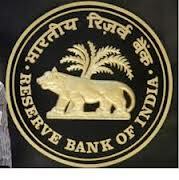 (i) Candidates are required to apply online through Bank’s website www.drgb.co.in from 04-06-2013 to 17-06-2013. No other means/ mode of application will be accepted.  Fill in the Fee Payment Challan in a clear and eligible handwriting in BLOCK LETTERS. Candidates can pay application fees in any of the branches of the Durg Rajnandgaon Gramin Bank or Dena Bank only. 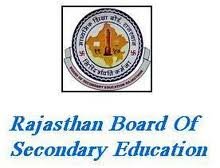 Board of Secondary Education, Rajasthan has declared the result of secondary class on 6th June at 04:00 PM.